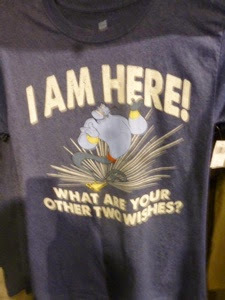 Orlando Visitor: A T-shirt bought at Walt Disney World Orlando Resort. A T-shirt bought at Walt Disney World Orlando Resort. A T-shirt bought at Walt Disney World 2013. For a first time visitor to the Disney Theme Parks go prepared and leave room in your suitcases for the amazing choice of Disney merchandise and memorabilia on offer, there are many shops providing:-T-shirts, gifts, clothing, accessories, pins, camera apparel, books, housewares gifts, candy and of course not forgetting Mickey Ears! Labels: Disney Merchandise WDW Resort Orlando.